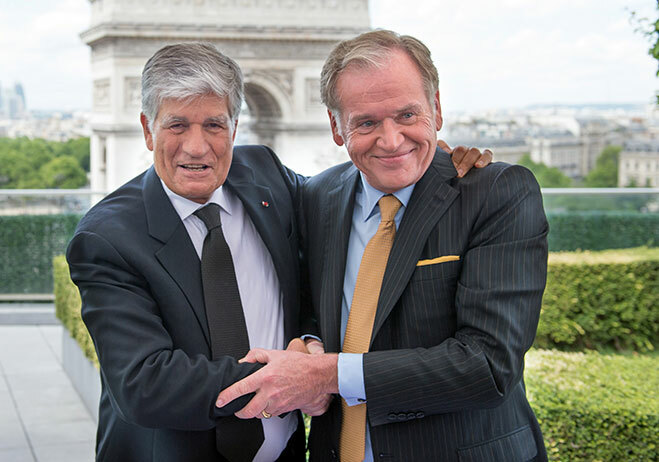 The competitors will now unite under the holding title Publicis Omnicom Group, and will hold dual headquarters in Paris and New York. The firm will be registered in the Netherlands for reasons of neutrality. The unification brings together two of the top three firms currently vying for control over an increasingly cutthroat global communications market. As one firm, Publicis Omnicom will dominate the sector with a staff of 130,000 and an estimated stock market value of $35bn. The group’s portfolio will include advertising industry giants such as BBDO and Saatchi & Saatchi – which will now be simultaneously serving competitors like Apple, Samsung, Coca Cola and PepsiCo as clients. Maurice Lévy, the Chairman and CEO of Publicis, maintained the merger was vital in order to survive the constantly evolving digital communications market. As the emerging titan begins to reshuffle its new corporate governance strategy, Lévy is set to take on the role of non-executive director, whilst Omnicom boss John Wren will continue on as the firm’s CEO. That said, the two bosses maintain the deal will create a corporate structure consistent with a merger of equals (both firms are valued at around $16bn). Publicis Omnicom will face regulatory hurdles concerning monopolisation. The new firm has risen to unprecedented heights virtually overnight, and will now tower over current industry leader WPP’s corporate worth by 47 percent. That being said, the unification of Publicis and Omnicom should simultaneously serve to stabilise a communications market riddled with uncertainty.